I know it may sound kind of cliché wanting to start a diet or eating better on the first week of the year, but after eating delicious food packed with empty calories during the Holidays, who doesn't? 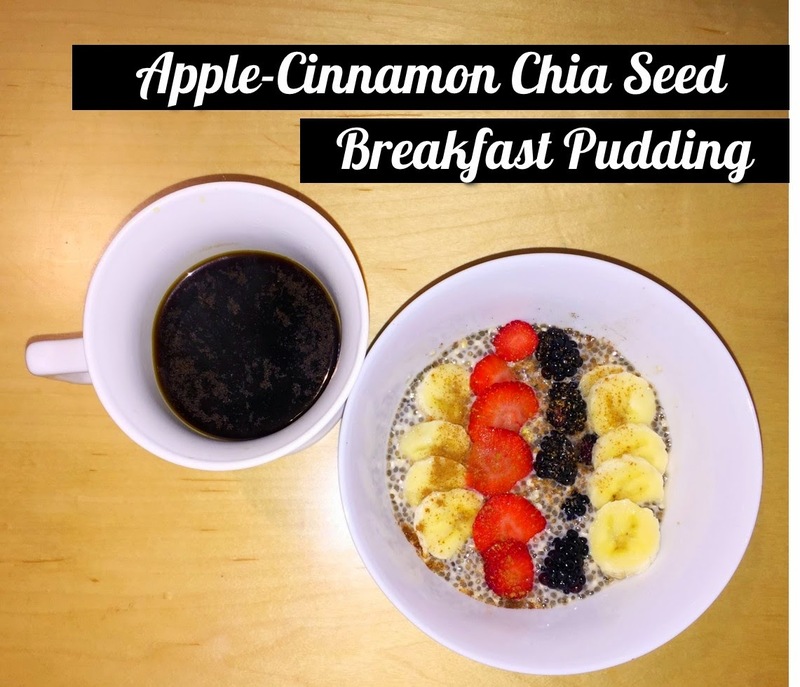 On today’s blog I will be sharing an easy yet healthy breakfast recipe; apple-cinnamon chia breakfast pudding. Chia seeds are a great source of antioxidants, omega-3 fatty acid, calcium, fiber and proteins. Plus, it keeps you full for hours. Since I couldn't find chia seeds alone, I bought Qi’a by Nature’s Path which is super food breakfast cereal. This product contains chia seeds, buckwheat, hemp cereal, dried apples and cinnamon. It has a great taste plus many healthy properties. You can also use it on smoothies, fruits, yogurt or even for baking. * You can add almonds or other nuts for topping. * This recipe is for 2 servings. 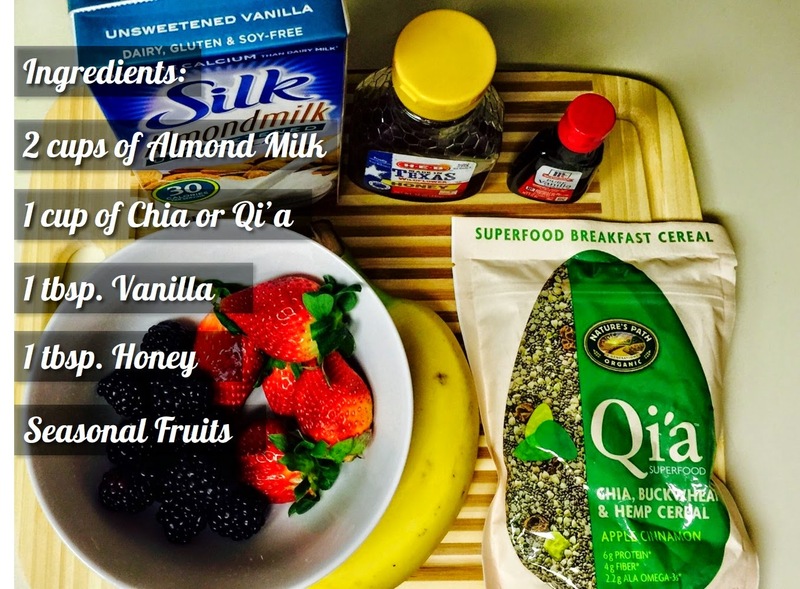 Mix almond milk, chia seeds/Qi’a cereal, vanilla and honey in a bowl. Mix well until all ingredients are combined. Store covered in fridge overnight. Blend well before serving. If the pudding gets too thick add some water.